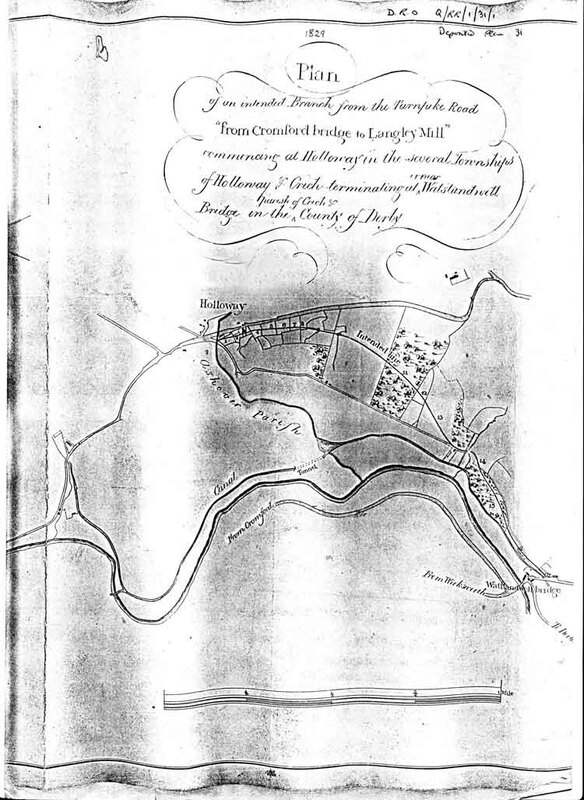 Plans were entered, in 1829, for a turnpike to be built from Holloway to Whatstandwell – it would have been a branch from the Cromford Bridge to Langley Mill turnpike. In effect it would have replaced Braken Lane and the Robin Hood road. In the event the plan never materialised. Derbyshire County Council, Derbyshire Record Office, D.R.O. Q/RR/1/31/1 Deposited plan 31. Reproduced by permission. contains the names of the owners & occupiers or reputed owners & occupiers of the lands through which the inteded Branch will pass. NB Nos. 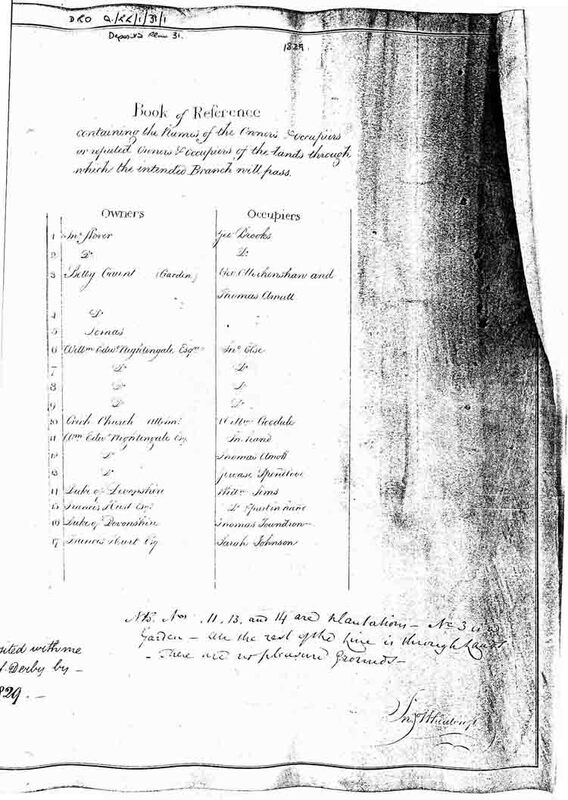 11, 13 and 14 are plantations – No. 3 is a garden – all the rest of the line is through lands. There are no pleasure grounds.